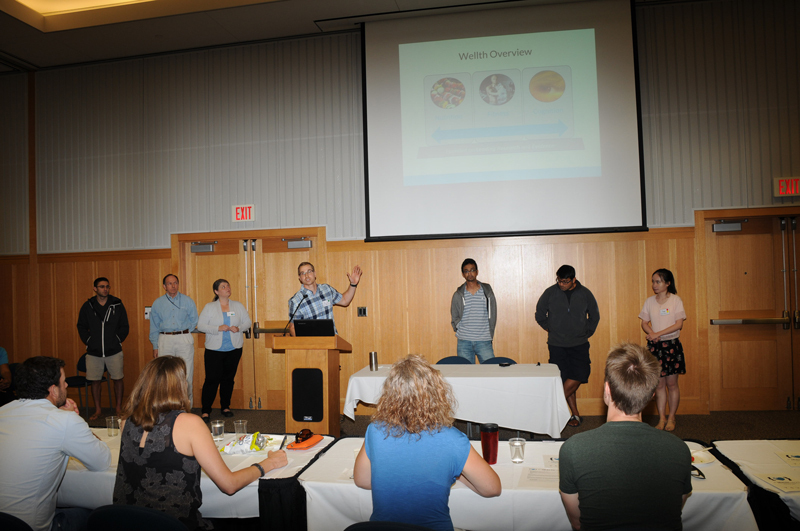 Sunday, June 25th the second annual Ann Arbor Health Hacks weekend concluded. 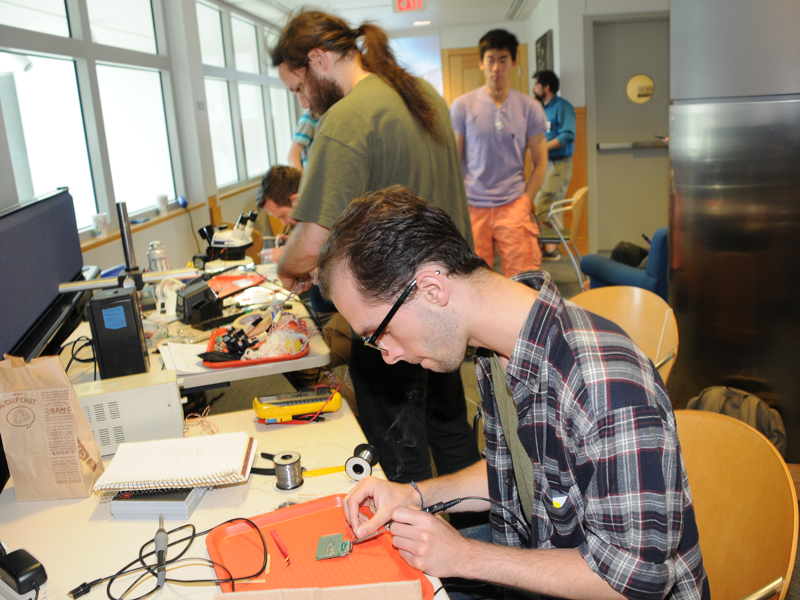 If you weren’t able to attend, here’s a quick rundown of all the fun you missed! Before we jump into the details, we wanted to first thank our sponsorship/ mentorship who helped make this second event such a success! We had 35 people joined us for the optional Friday night opening reception at the Llamasoft offices in downtown Ann Arbor to kick off the event and Saturday morning saw a full house at Palmer Commons with 92 participants, 17 volunteers and organizers for our keynotes from Dr Scott Hollister on personalized medical devices and Alex Plum on barriers to healthcare access right in our community. After the keynotes, we dug in with 29 individuals pitching initial problems and concepts. From there we formed 16 teams by lunchtime. 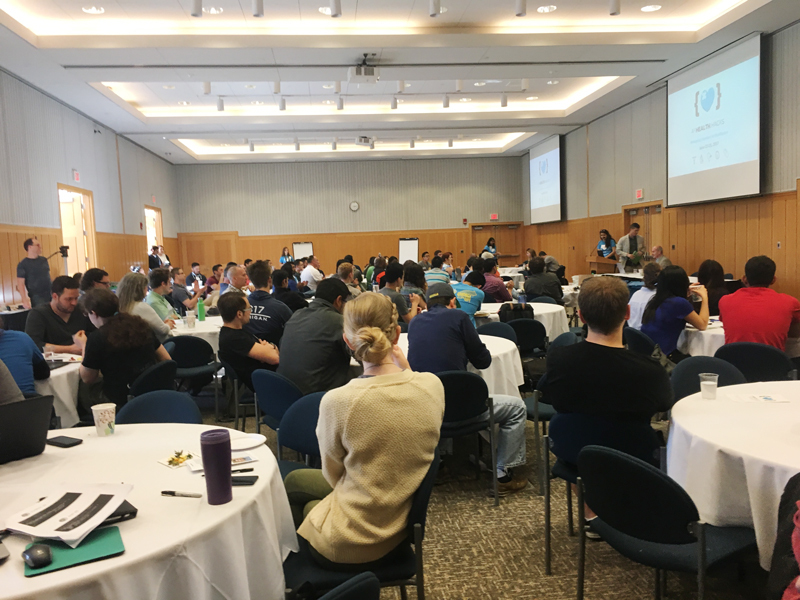 Our 25 mentors from clinical, technical and entrepreneurial backgrounds helped the teams work through their challenges over the 24-hour hacking period and 13 teams with a total of 58 people, presented to the six judges on Sunday. OrthoFit – Software plugin to generate personalized 3D-printed orthopedic surgical implants to treat pediatric chest deformities, modeling optimal surgical placement using CT scan data. Jarvis – Optimizing emergency medical transport by modeling location of care facilities and mobile units with average emergency occurrence and time to EMT arrival. FDA510k – Shortening approval time for medical devices by graphing FDA 510k relationships with similar devices. The visualization also allows for rapid assessment of recall risk for related devices in the case of a recall. While the judges deliberated, Will Wharton from Backyard Brains demonstrated citizen neuroscience by connecting two volunteers such that the brain signals of one controlled the arm movements of the other! 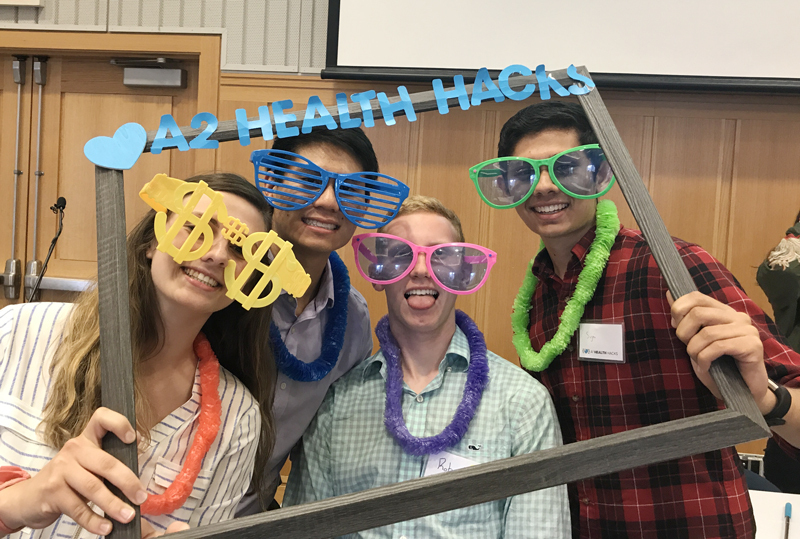 The four of us started A2HealthHacks.org in late September 2015 with the goal to foster medical innovation and spawn new healthcare startups in Southeast Michigan by organizing regular healthcare hackathons to bring together the IT, tech and healthcare community. With 2016 and 2017 being a huge success, many participants, judges and mentors promised to be back for A2H2’18! A heartfelt thank you for believing in our mission and approach and helping us bring this second A2H2 weekend to life. We truly appreciate our sponsors, speakers, mentors, judges, and everyone who attended! We will make sure to keep you updated as to the teams’ progress and next years’ event.